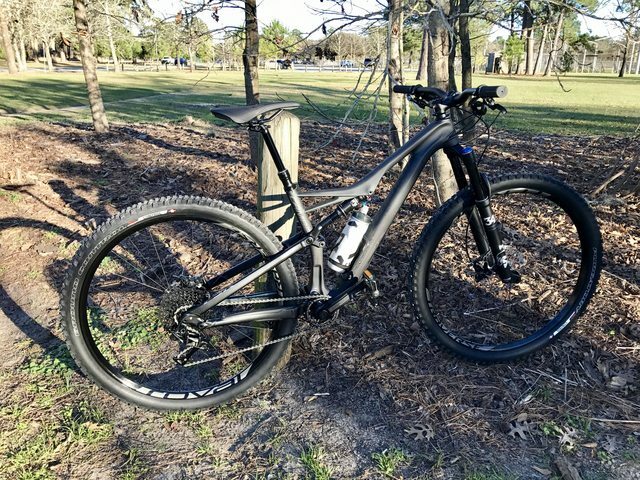 I have a like new, barely ridden (less than 5 miles) 2017 Specialized Camber Expert Carbon 29 in a size Medium and in color Satin Carbon / Charcoal. Comes with Shimano MX80 Saint flat pedals. Tires converted to tubeless. MSRP is $5000 for this bike. Purchased brand new earlier this year when I was in Houston. Recently relocated to KC and don't plan on biking any longer. Original receipt will be provided. I will include a bike stand and tire pump worth about $125 combined. I have a modified truck already for my offroading needs, but it only gets about 11-12mpg combined. Looking to get something small and sporty to commute around. -Not looking to put out any more money - must be straight trade. Bike is worth ~$3300. -Preferably something that gets decent mpg. -No domestics, looking for import/euro. -Salvage title is fine - car must be in good running condition. I know this is a long shot but just putting it out there. Thanks! Last edited by equalme; 2017-09-06 at 08:40 PM..